EIT Health Spain recently announced the 15 local winners of the Headstart funds. WIVI Vision, the innovative system of E-Health Technical Solutions was one of the winners. This award represents a new milestone that adds up to the success obtained last year, when WIVI was European finalist and first Spanish company at the European Health Catapult. The selected companies will receive a grant for realizing next steps towards the market and shorten time-to-market for their innovative products and services. They will also be able to verify the need/benefit of their products and to increase the possibility to attract further private investment in the future. 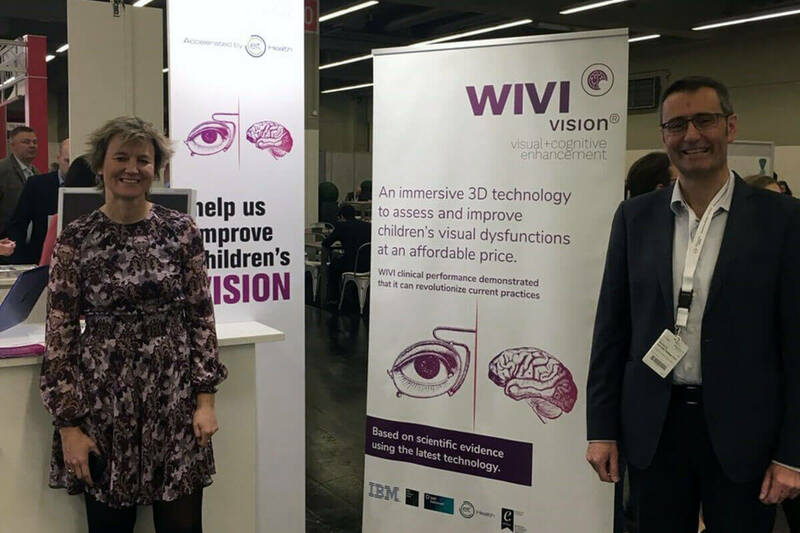 WIVI Vision was awarded in the Medtech category, thanks to its immersive 3D technology that will revolutionize the visual health sector. Eva García Ramos and Juan Carlos Ondategui, co-founders of E-Health Technical Solutions, want to thank the institutions, investors, customers, providers and collaborators who believed in their service, including IBM, HP, EIT Health, European Commision (Sme instrument), Enisa, Asociación de Salud Digital, Colegio de Médicos de Barcelona, Esade, South Summit, Barcelona Activa, IESE and UPC. Previous Post What is the difference between opticians, optometrists and ophthalmologists?